Some of us do believe in fairies, mermaids and unicorns, even when we're adults. I do believe in magical fairytales and that got my friends dissing me for being childish and unrealistic. Life is tough for everybody and I guess each of us lost track of that magical feeling that we once own when we're a child. I don't wanna lose this magical feeling I have inside of me everytime I saw beautiful scenery of mother nature, interesting stuff and happenings, surrounded by amazing people, listen to music that gives me goosebumps etc... I wanna be someone who appreciate small little things in life with passion burning inside of me. And I'm thankful to have these magical unicorn face brushes to remind me everyday that how amazing I am and how beautiful I'm gonna be. I guess this is the magic of these unicorn brushes that make all the girls on internet goes crazy. 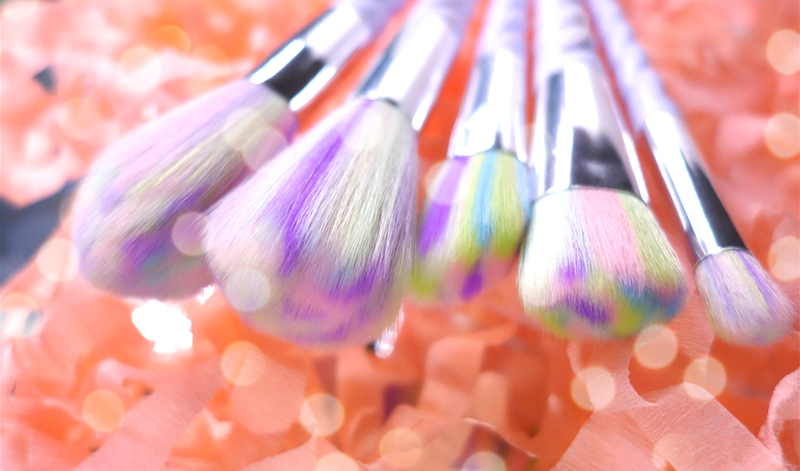 This totally break the internet as I've seen many makeup artists and internet celebrities were sharing and asking this unicorn face brushes. I've been applying my makeup with my fingers all along because I'm unable to find suitable brushes that I feel comfortable with and are soft that don't hurt my skin. Some synthetic bristles brushes are so harsh I can feel stinging feelings when I try them on that's why I don't really bother looking for a set. 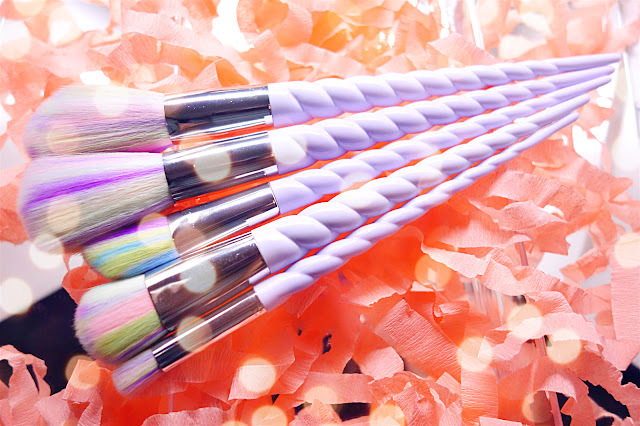 Then come this set of unicorn face brushes that totally change my perception on brushes, them bristles as soft as unicorn fur!!! Trying them on, I've done my another makeup look using these brushes and I will call this look - Unicorn Makeup look! 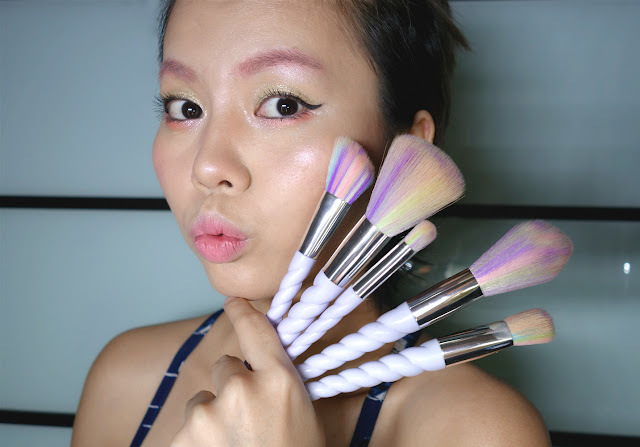 Pink eyebrows, shiny eyelids, magical purple-ish highlight with these brushes! I'm really loving this unicorn makeup look, it gives me a sweet and magical vibes with the pink eyebrows, shiny eyelids and almost holographic cheek highlight! It's not over the top kinda makeup, and suitable for everyday, casual look with white tee and jeans. Would you try this look?